Yacht rock in all its groovy, sunscreen-scented glory is the focus of the Yacht Rock Halloween Extravaganza at Bar Biscay, 1450 W. Chicago Ave., on Halloween, Wednesday, Oct. 31. Fins Up, Chicago’s yacht rock DJ duo, will play from 10 p.m. into the wee hours (last call at 1:30 a.m.). To add to the fun, try out the new house-infused vermouth fortified with Malort; shots are just $1 to celebrate the announcement of Malort returning to Chicago. In the heart of Wells Street in Old Town, LG's Bar is throwing a good ole' fashioned dance party and costume contest Saturday, October 27. Prizes will be awarded for best costumes and DJ Jay Marcus will begin spinning at 9 p.m. 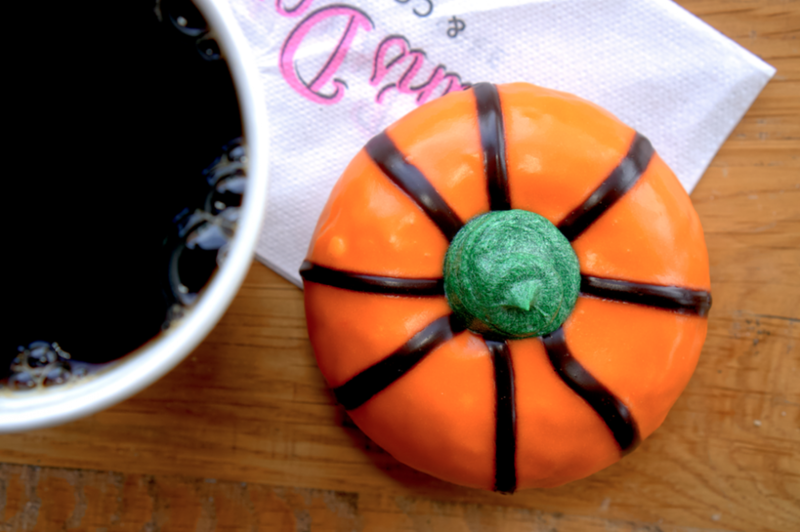 The Lil Pumpkin Donut ($2.75) at Stan’s Donuts & Coffee is big on charm. It’s a cake donut decorated to look like a jack o’ lantern. Find it at all 10 Stan’s locations from Monday, Oct. 22 through Halloween, Wednesday, Oct. 31. 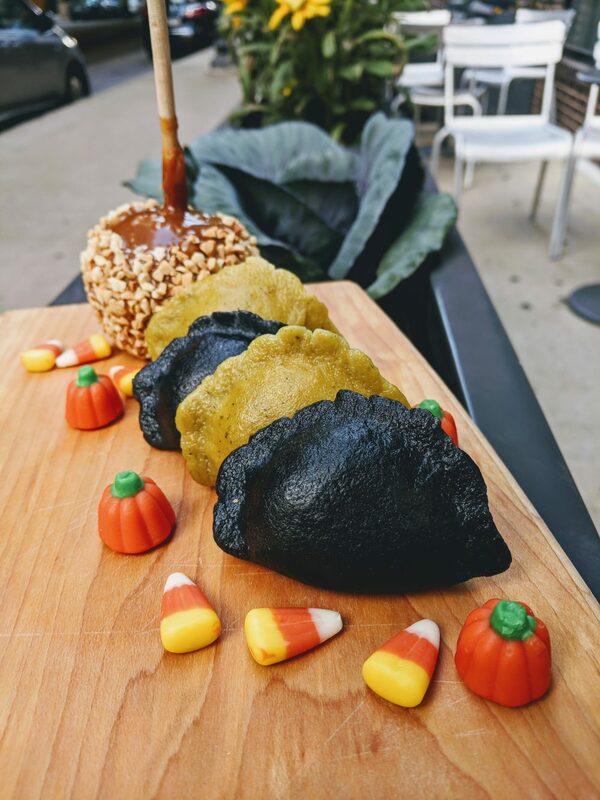 The Halloween dumplings at urbanbelly, 2400 Damen Ave, sport an orange-colored filling, thanks to pumpkin and sweet potato. 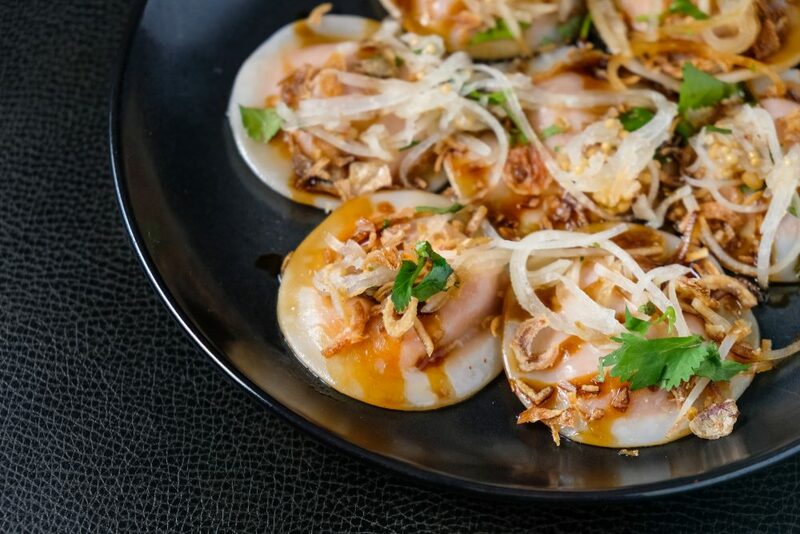 Served with green papaya, they’re $1.75 a piece and available Monday, Oct. 29 through Saturday, Nov. 3. At The Chow Brothers in Wells St. Market, 205 W. Wacker Dr., the Halloween pierogi hide a sweet potato cheesecake filling inside black-hued dough. They’re on offer starting Oct. 15. Also at the Loop food hall, Furious Spoon’s Dread Bowl ($14.95) features chili-infused noodles swimming in a black squid-ink vegetable broth. It’s topped with neon-green seaweed salad, wood ear mushrooms, calamari and the pièce de resistance—a fried chicken foot. Those who dare slurp the soup special are in for an extra treat. If they post a photo to Instagram with #FuriousDreadBowl, they’ll be entered to win four tickets to the Rock the Yacht Midnight Halloween Party at Navy Pier. 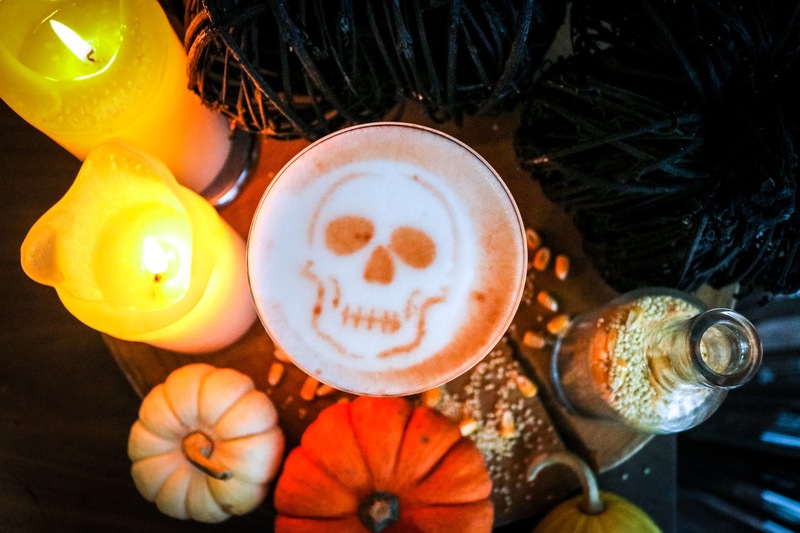 Baptiste & Bottle, located at 101 E Erie on the 20th Floor, is featuring a ghostly cocktail called "The Ghost of Kitihawa" with belvedere vodka, lemon, grapefruit, st. germaine foam and a skull bitters stencil. Guests are also encouraged to dress up for brunch on Saturday, October 27 & Sunday, October 28 for a chance to win a free Baptiste Dinner ($100 gift card) each day. Guests must post a photo next to the bloody mary bar and tag @baptistechicago on Instagram to be entered into the contest! 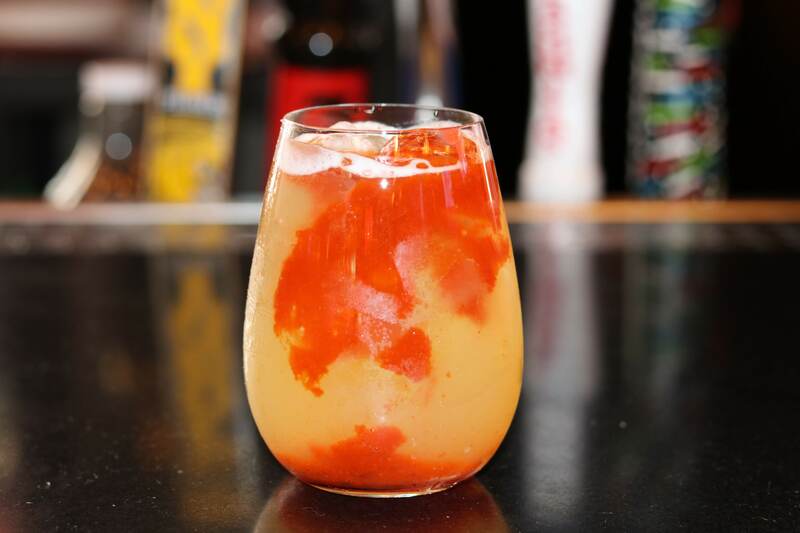 Halloween themed Bottomless Bloody & Mimosa Bars are $26 during brunch held from 11am - 2pm. MAD Social at 1140 W Madison is featuring their “Screameo” Gelato Churro Waffle Sandwich throughout the month of October. 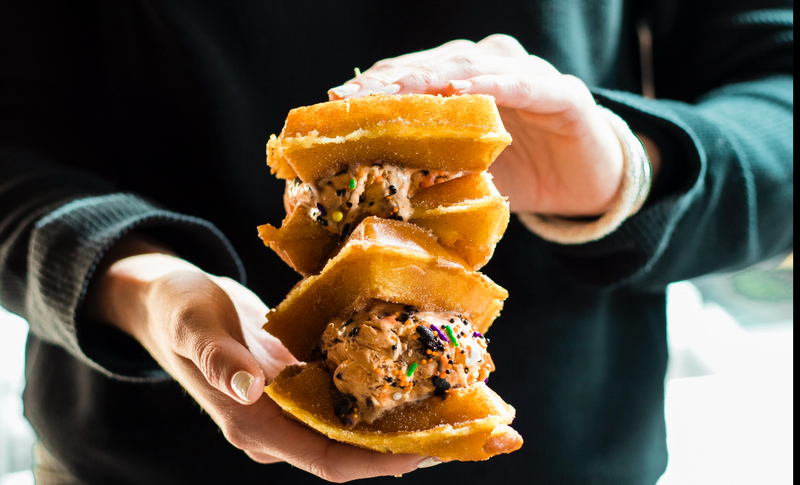 The sandwich features Oreo flavored orange gelato with spooky ghost Sprinkles between a deep fried churro waffle. River North's, Bar Cargo, located at 605 N Wells, is encouraging guests to wear their best Halloween costumes on Saturday and Sunday, October 27 and 28. Everyone wearing costumes will get an extra entry into their football raffle that will take place after the Northwestern Wildcats vs. Wisconsin Badgers football game at 11am on Saturday and the Chicago Bears vs. New York Jets game at noon on Sunday. Raffle prizes include Bar Cargo gift cards, Bulls tickets and Blackhawks tickets. 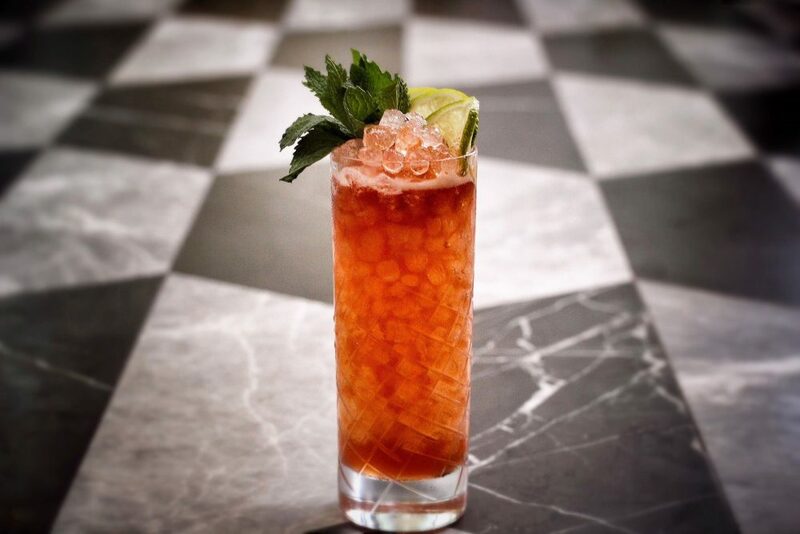 Also featured for the Halloween weekend is Bar Cargo's Dawn of the Dead cocktail with Absolut Mandarin, pineapple juice, strawberry puree and cointreau.